As you prepare to buy a home, you may be wondering just how much house you can afford. This is entirely dependent on your current income and debt situation, but there are some rules that you can follow. These rules are more financially conservative, but they will decrease the chances of you going into foreclosure and make it much easier for you to afford your home. It can be very frustrating to be house poor and not be able to do the other things you really enjoy doing because so much of your income is going towards your house payment. If you cannot afford to buy a home, it is better to wait until you are ready. Be sure that you do not take this step just because you feel pressured to buy a home. The most basic guideline is that your house payment should not be more than twenty-five percent of your monthly income. This is the general rule that the mortgage company follows, but in reality, you should work to keep your entire debt load down around twenty-five percent of your income if you want to be comfortable and reach your other savings and retirement goals. If you have car payments and student loans you may want to lower the amount of your mortgage to around twenty percent of your income. It is important to realize that the banks may be willing to lend you more money than you can really afford. It is up to you determine the right amount for your budget. 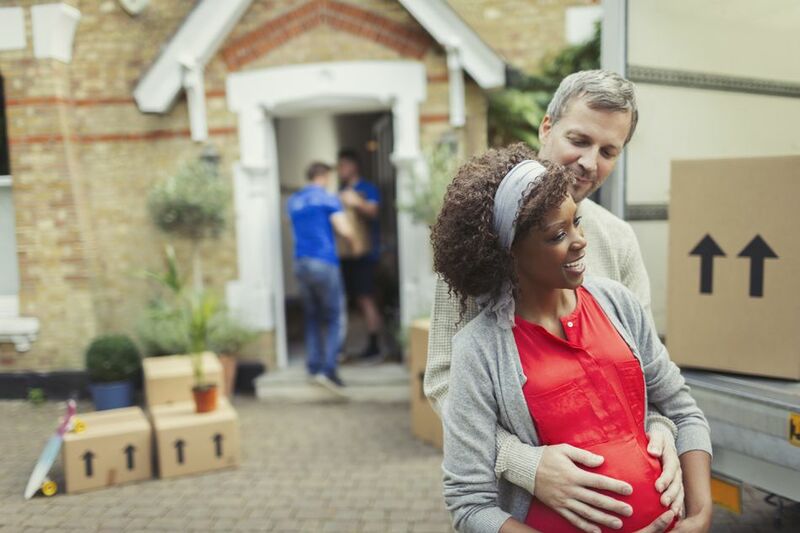 If you are planning on having one spouse stay home with your children, you should budget as though you only have one income, especially when it comes to your mortgage. Before you start shopping for a new home, work out a budget with a house payment. In addition to the payment, you will need to budget for home insurance, taxes, and housing repairs. You should set aside a bit of money each month to cover remodeling and home repairs, such as plumbing issues, air conditioning issues or any other areas for which you are responsible. This is the reason you do not want to stretch yourself too tightly when it comes to your house payment. You need to leave enough money in your budget so that you are able to cover your other costs. Other additional costs may include water and garbage pickup, and your power bill can go up because you are heating and cooling a larger area. You can practice living on your new budget for a few months before you buy your home. Put the extra money you would be spending into a savings account as the start of the sinking fund for your new home. What If I Want a Nicer Home? If you are initially disappointed with what you can really afford, you have three options. The first is that you save up a larger down payment and wait to purchase until it lowers the amount you need to borrow to an acceptable amount. This may mean putting off buying a home for a few years, but it will help you be financially ready to purchase the home and prevent you from buying something you cannot really afford. The second option is that you buy a starter home or condo and live for five years in this type of home. It takes about five years to break even on purchasing a home, and, with the current volatility in the housing market, you may see your home value go up, hold steady or even go down. It is important to carefully consider whether or not you would be happy in the home for at least that long. The third option is to buy an older home that you can renovate. Often you can get a fixer-upper for less money, but you need to be prepared to deal with the hassles and additional expenses for renovations. In addition to the down payment, you will need to have money set aside for the closing costs. Your realtor should be able to tell you the estimated amount of the closing costs, but it is usually at least $5,000. Additionally, you should be careful when checking on the type of mortgage you choose. You should choose a fixed rate mortgage, not an adjustable rate mortgage. You can get pre-approved for a mortgage before you begin shopping for a home. If you are still reluctant, you can always evaluate whether you want to rent or buy in another year. You can review these reasons to buy now or to wait to purchase a home before you make the decision. This can give additional time to save up for your home. You should also plan on moving costs. It also helps to have an emergency fund in place in case you have a difficult time making a payment due to a job loss or other financial emergency.